Putting a slot in an ID card is a pretty common practice, whether it's a student ID card or an employee badge. The process is pretty simple: a slot punch is used to put a small hole in a card. This small hole allows a strap to slide through, making it easy to wear the card with a variety of card accessories, like lanyards, badge reels or strap clips. 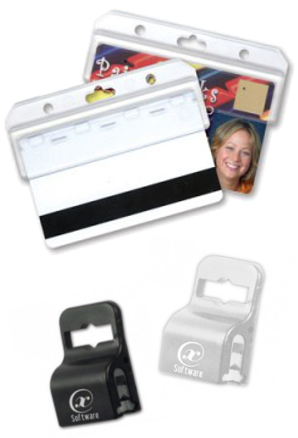 Some organizations get around the slot by simply putting their un-slotted cards in some kind of badge holder, as holders normally have a slot or chain holes that makes them easy to carry. However, this approach doesn't work for cards with a magnetic stripe: the wearer would be required to remove the card from the holder every time he or she needed it, which is pretty inconvenient.